So the new hero Zophiel is OP! ;This is ridiculous that someone with 700,000 lest BR now can beat me everytime just because he added that hero. ;If the Hero is that significant then the BR should reflect it!. ;When I got Auriel and added her my BR dropped and I couldn\'t beat anybody. ;So I switched back the next day after she was released. ;This is another situation where you have charged us for every upgraded, advantage, etc and now don\'t something that completely makes it a waste of CASH! ;great job as usual. Hmm, Auriel was bugged before... Now she should be stronger. 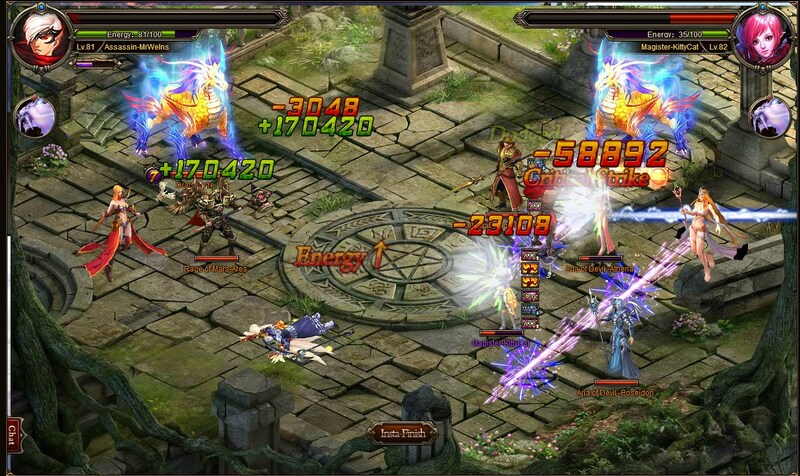 And Zophiel, true, is OP, was surprised they didn\'t add him with Michael tier heroes. Still you need 2 moirai and 2750 card points (which is ALOT);to get him, so his power is in some way related to the cost. Tank - 1st thing, his SS stuns 2 turns the opponent standing right opposite of him (or the one that has taunt activated) IF he manages to hit. So this could be countered with high dodge, immunity buff (if you are fighter standing opposite of him), not using knight taunt on 1st rounds if you don\'t have enough dodge, that would devastate you. Also patk dps can stun him. Here is his SS with no atk buffs. 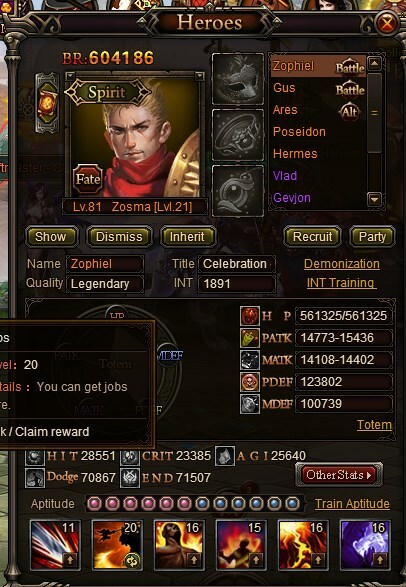 Also you can see, opponent\'s Hermes (doesn\'t even have dodge skill as passive + my Zophiel has hit passive) dodged the SS, so no 2 turns stun. He is quite easily defeatable when kept stunned, dodged, stripped of atk buffs (without these his SS damage is very low), not like Hermes, who can survive longer after rest of party is dead and oneshot dps with his SS still. If your opponent really is 700k BR lower, you should be able to defeat him almost every time with choosing the right strategy. ;On my server closest opponents have 600k less BR (they don\'t have beast bout III yet), don\'t have Zophiel and still I can\'t win 100% of time. 2019-4-20 05:10 GMT+8 , Processed in 0.058868 second(s), 38 queries .